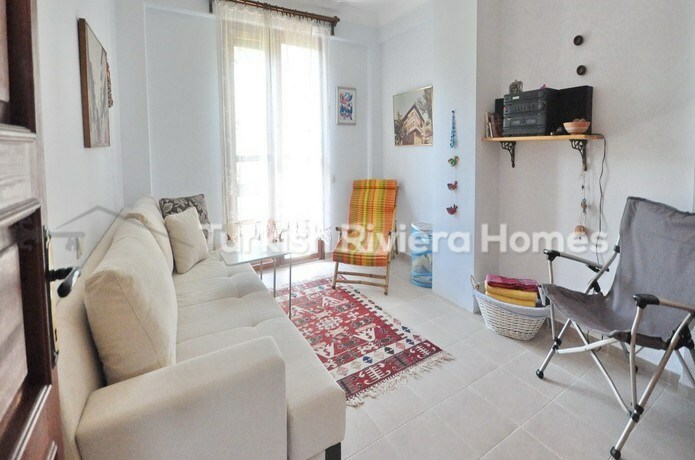 This villa is perfect to buy ait and ideal for all year round living, good potential for rental as the area is frequented by many nationalities and has a large expat community. 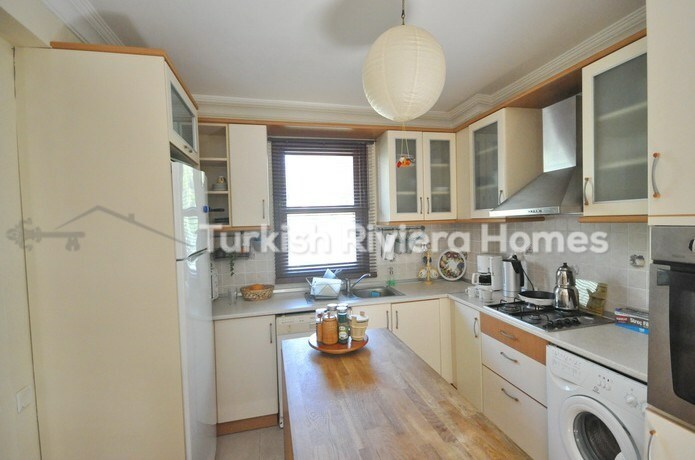 at the entrance to the villa, there is an open plan kitchen which houses a wooden table for dining and entertaining guests. 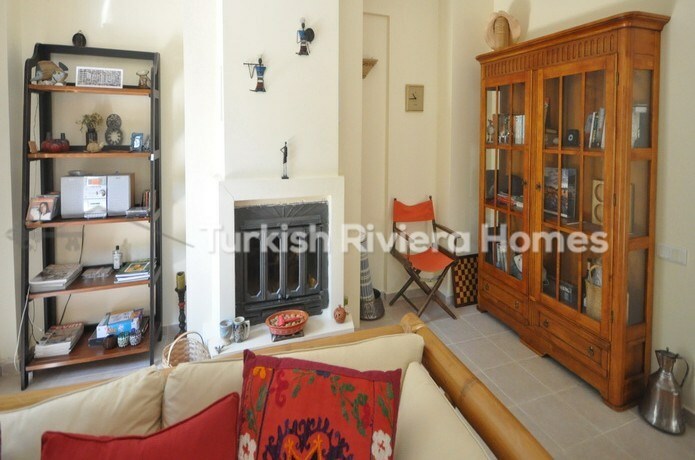 The dining area and large lounge are bright and airy, within the lounge there is a feature fireplace and wooden furniture which gives the area a very comfortable mood. 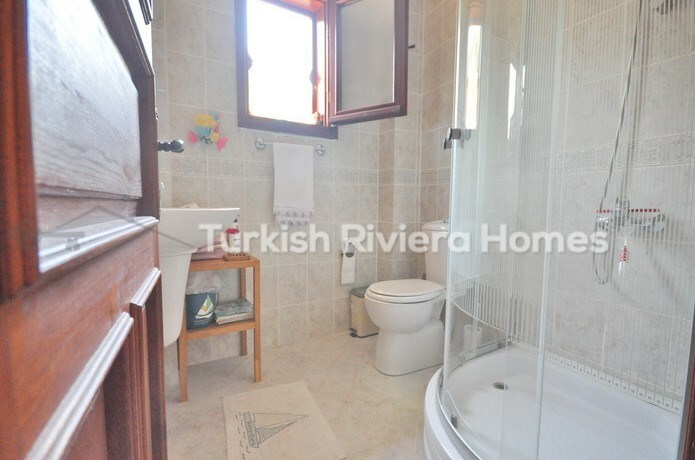 There is also a bathroom and shower on the first floor. 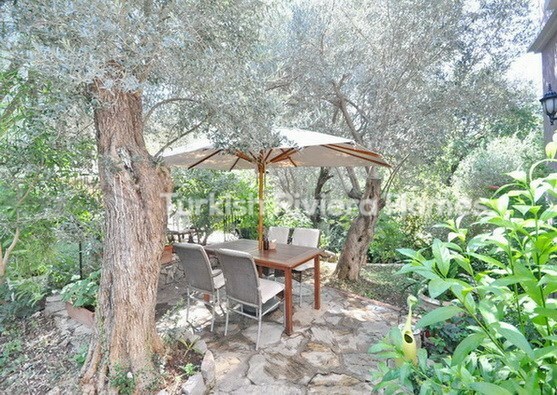 Exiting the lounge to the outside terrace there is a seating area set within the well-maintained gardens of the property. 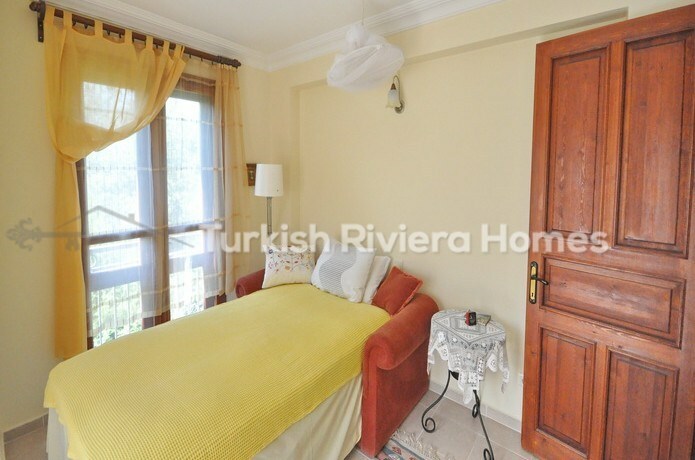 There is a marble staircase to the first floor, two double bedrooms, one guest room, and two further bathrooms. 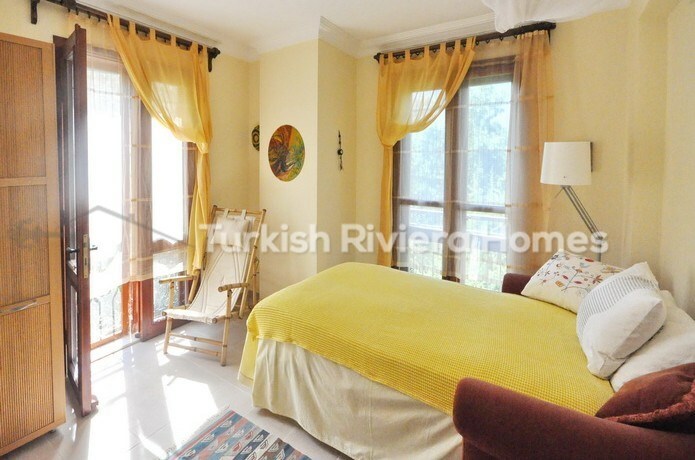 All bedrooms have balconies or French style balconies with views overlooking the countryside. 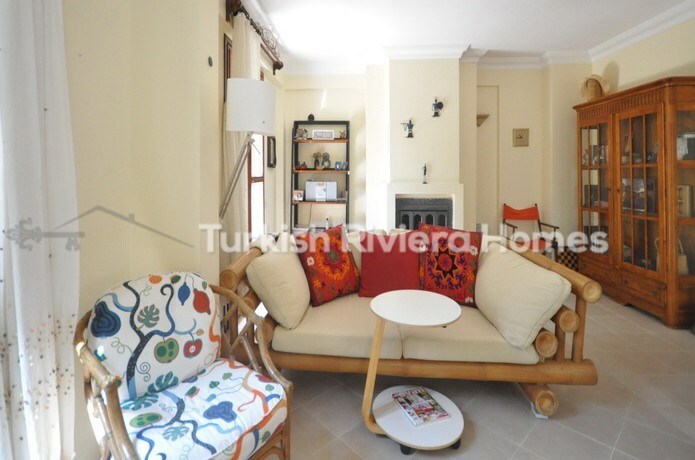 The style of furniture has been repeated on this floor and is tastefully decorated. 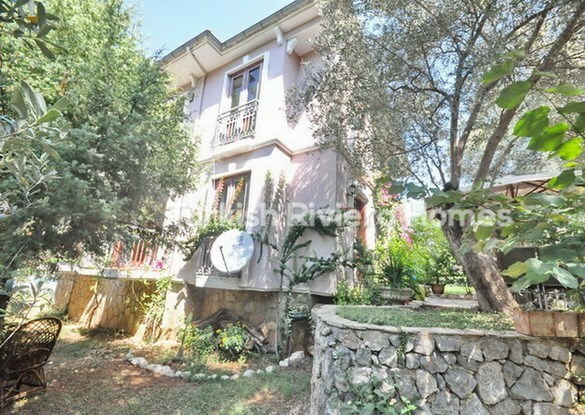 The Villa is small complex with shared swimming pool and gardens planted with flowers and mature fruit trees. 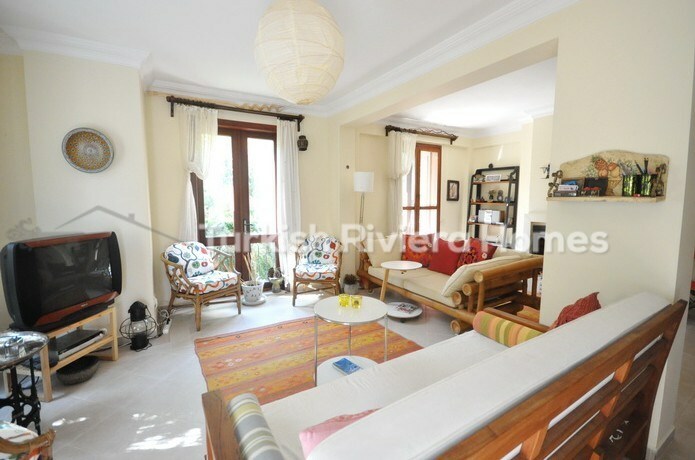 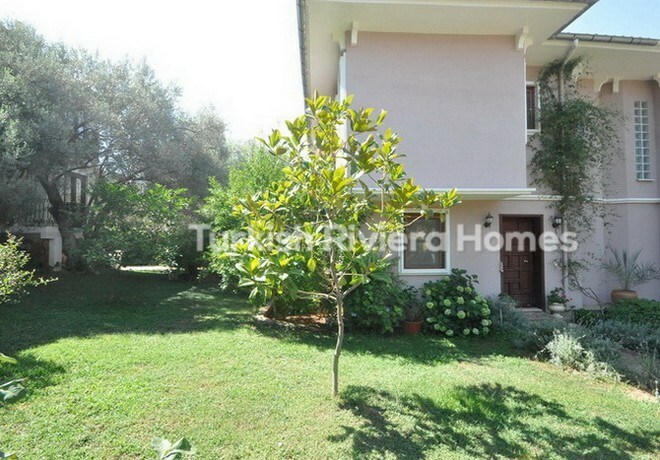 This villa is sold as part furnished to include all white goods and air conditioning units. 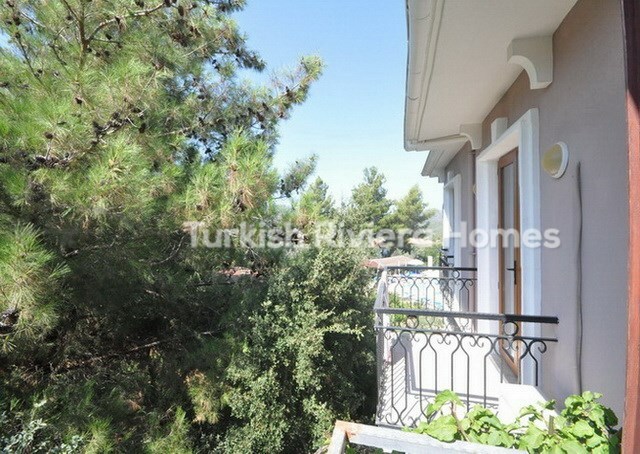 This Villa is just a few minutes away from the main road in Ovacik, Fethiye and within easy walking distance to all amenities. 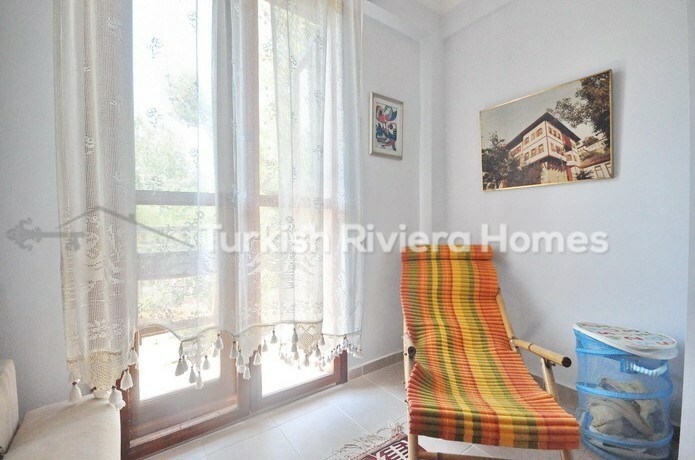 A short bus journey takes you to Hisaronu Centre where you will find a wide range of local amenities, weekly local market, shops, bars, and restaurants. 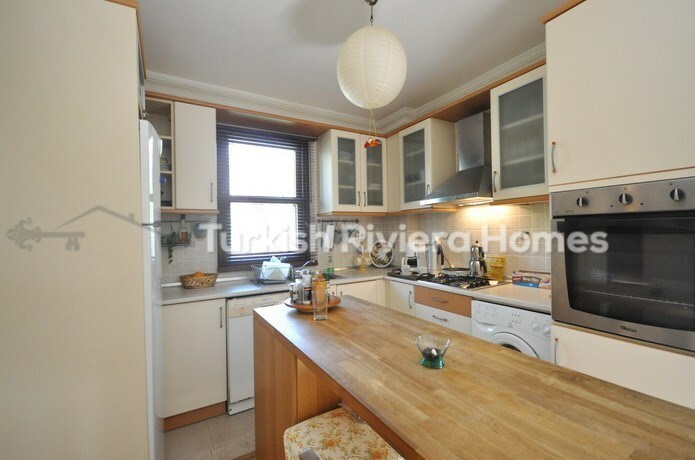 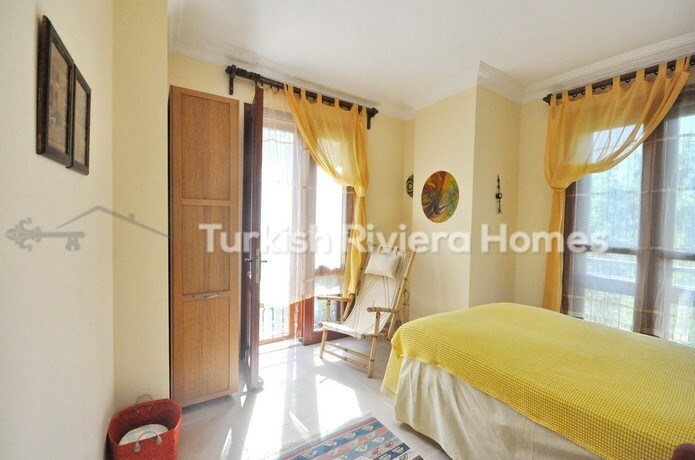 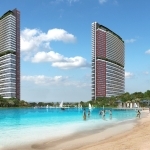 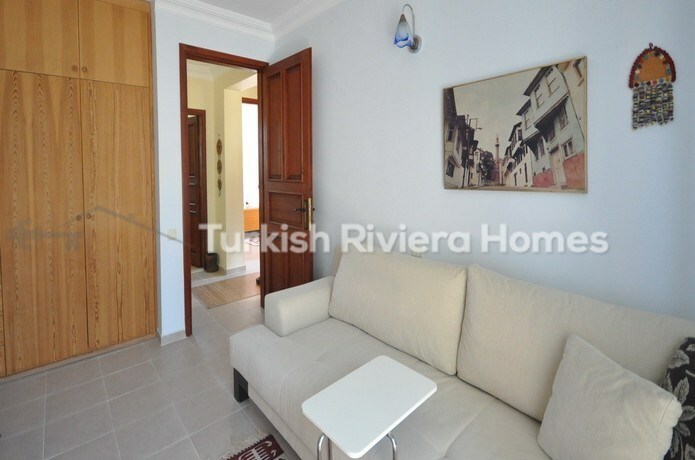 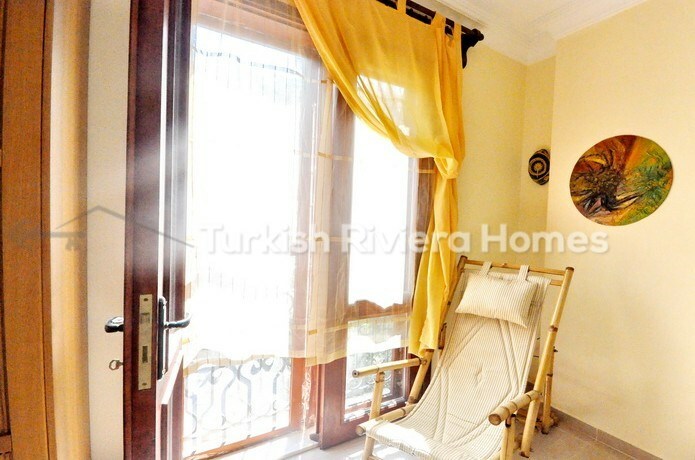 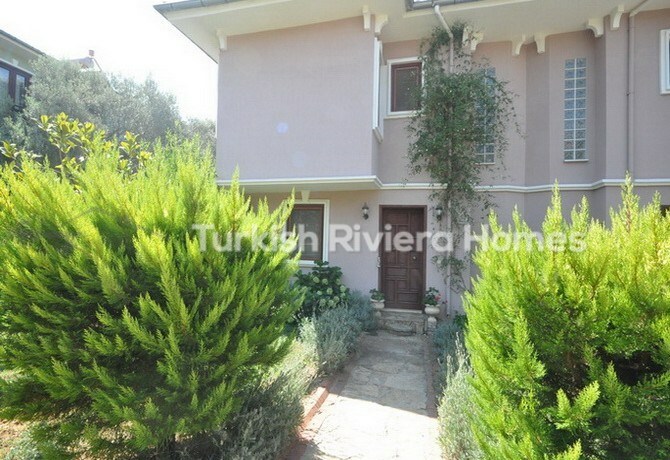 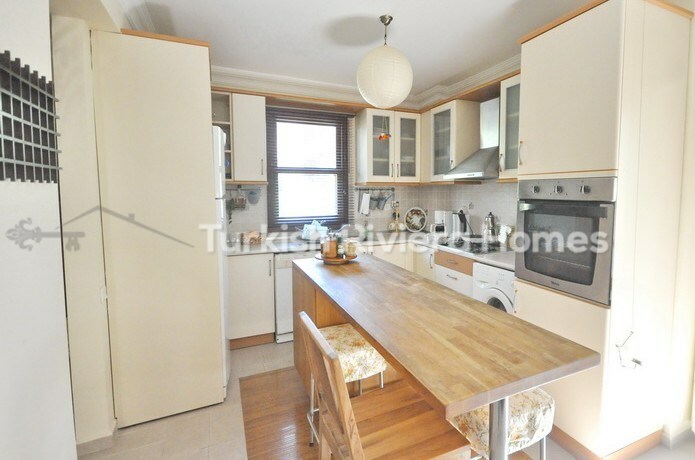 Turkish Riviera Homes charge 3% buyer fee with every property we sell, this is in line with Turkish real estate laws. 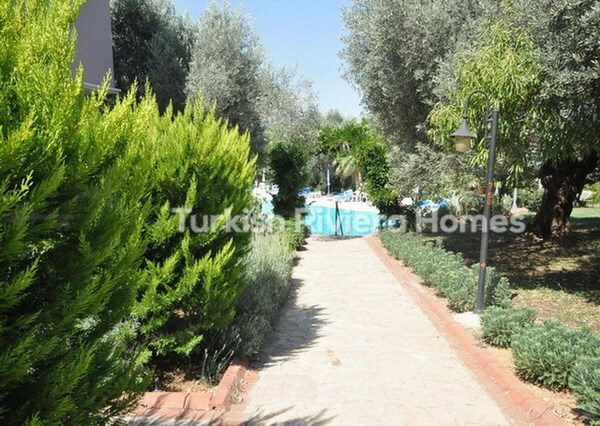 Thank you for your interest in our company, we are available to answer any questions that you may have.